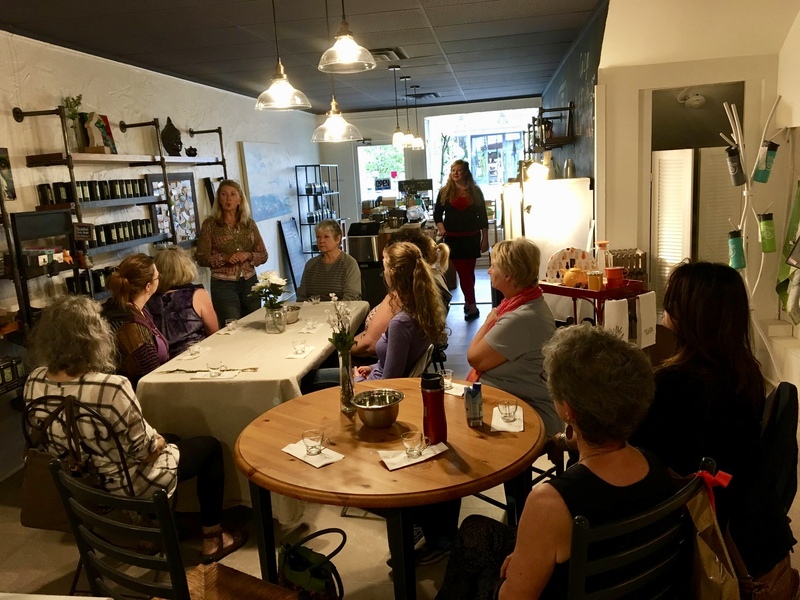 Plan a group event around a tea cupping or tea talk. Please contact our store at 705 293 1887 to discuss your event. With participant numbers ranging from 8 -20 we can do an in-depth dive into camellia sinensis, sampling a wide array of white, green, black, oolong and puerh teas while discussing how each evolves from plucked leaf to the tea in your cup. We ideally need 3 hours for this event. We will come to your venue or, if the group is between 8-12 individuals, we can host in house. For larger groups, we offer a lively 1-2 hour hands on seminar reviewing all different types of tea - giving a history of the leaf and discussing the various types from around the world.